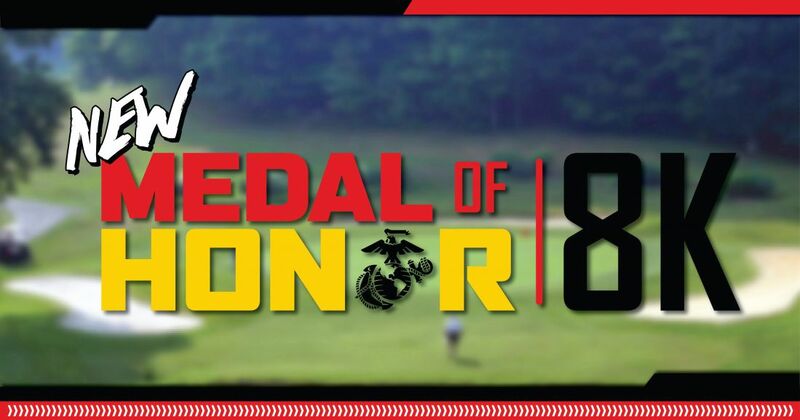 You’ve heard of walking the greens but ‘running the greens?’ That becomes a thing this December when the Marine Corps Marathon Organization, in partnership with Marine Corps Community Services, hosts a limited field 8K on the Medal of Honor Golf Course on December 8. All participants will receive a special Medal of Honor 8K fleece hat and free greens fee for future use. The Medal of Honor 8K presented by Marines Plumbing begins with a wave start at 9:30 a.m. Additional waves depart every two minutes. 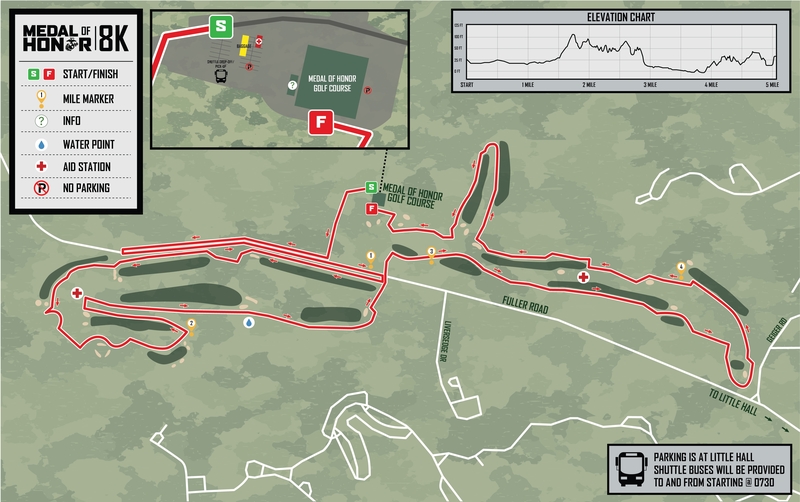 Check out the 8K course map. Watch the MCM website for details about shuttle services, entertainment, specials at Mulligan’s restaurant and more. Packet Pick-up will be hosted on Friday, December 7 at the MCM Building (Fowler Hall) aboard Marine Corps Base Quantico next to the Commissary from 8 a.m. to 4:30 p.m. If using GPS, please input 3400 Russell Road, Quantico, VA. Those unable to pick-up on Friday can do so on Saturday at the event from 7:30-9:00 a.m. There will be no parking and no drop off at the Medal of Honor Golf Course for the 8K. All runners should park at Daly Hall (2079 Barnett Road Quantico, VA) and board the event shuttles departing from this lot. Additional parking is located near this address in adjacent lots. Shuttles will deliver runners to the start from 7:30 to 9:15 a.m. Participants should arrive early as later shuttles may be crowded. Shuttles will return runners to the parking location following the event until 12:45 p.m. Runners will start in waves of 125 participants at 9:30 a.m. and launching every two minutes. Awards will be determined by chip time. All participants receive a fleece beanie. Finishers are awarded a limited edition ornament.